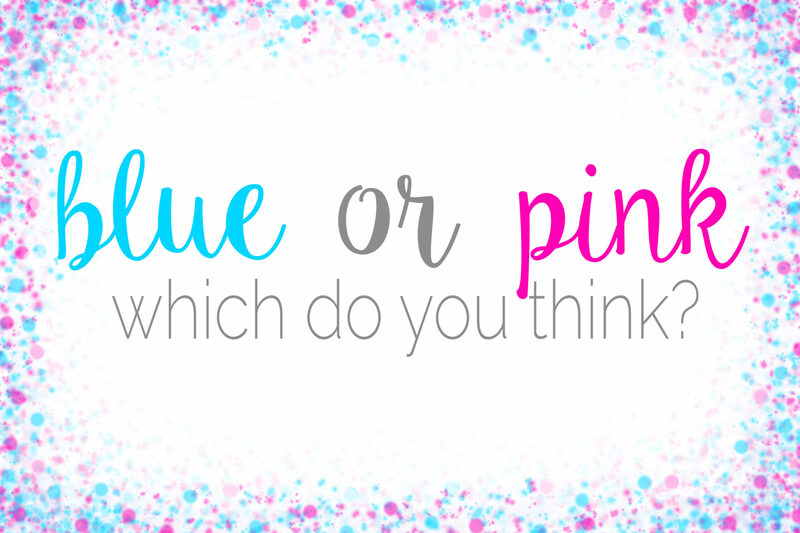 We had so much fun at our gender reveal “BaByQ” & I realized after that I did not take a single picture!!! I snapped a few shots of our sweet table & a few party details a few minutes before it started & that’s all. Total slacker. It was such a fun & laid back party so we really just enjoyed visiting with people. 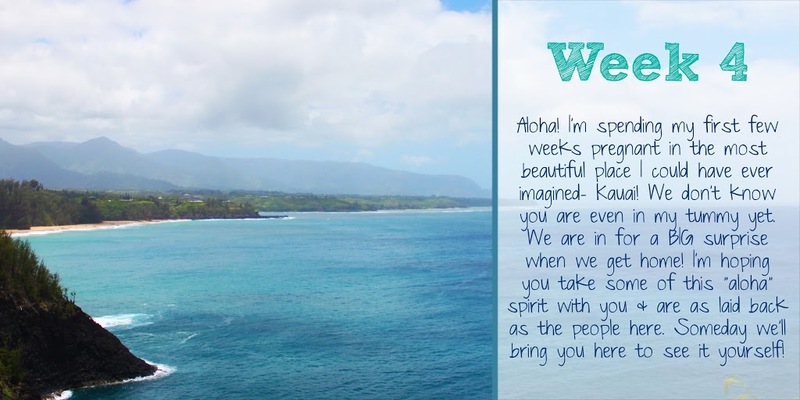 Here’s a look at our invitation. I whited out our address for obvious privacy reasons. I tried to keep this party as low maintenance as possible so I didn’t go crazy with the decorations. We decided to use confetti for the big reveal, so I tried to carry the “confetti” theme throughout. For the backdrop I used a 2″ circle punch to make pink & blue circles that I hung on thread. It was tedious so I didn’t end up making as many as I wanted. I bought some pink & blue fans from Hobby Lobby to add a little more interest to the backdrop. I have an incessant need for symmetry & wasn’t 100% happy with how I placed the fans, but you know what? They made it up on the wall & that’s good enough, haha. After I took these pictures I did end up adding blue plates on the corners of the table which really made it look a bit more finished. “Confetti” sprinkled rice cereal treats..
“Confetti” sprinkled cookies… Gio helped me with the sprinkles & he added a few too many blue as you can see, haha. I also used the bows & mustaches to label the Old Wives’ Tales list on a chalkboard. Leftover bubbles we had from our wedding a couple years ago, which I ended up forgetting to give people.. Whoops. Haha. 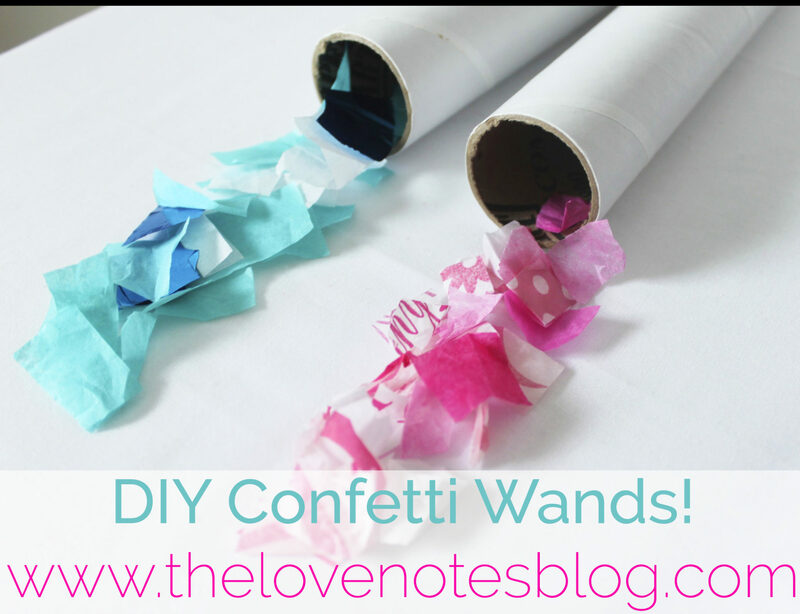 I have a super simple DIY post coming soon for how I made the confetti wands. It was so much fun to shake them & find out the gender that way! The results were in an envelope from our anatomy ultrasound, so I gave that to the neighbors along with 2 boxes of confetti wands– 1 labeled “girl” & the other labeled “boy.” In another room, they opened the envelope, removed the label from the correct box & they passed out the wands. We did a small countdown & shook our little hearts out to see which color confetti came out. Here’s a short video of our big reveal! Watch to see what we’re having & the name we picked out! DIY CONFETTI WANDS-- OUR GENDER REVEAL!